Music artist Chance The Rapper listens to a question during a news conference at City Hall on Tuesday, October 16, 2018 in Chicago, Illinois. 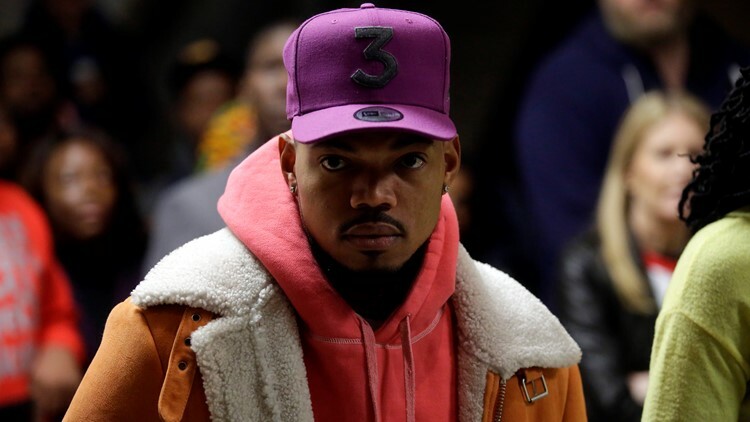 Chance the Rapper apologized Saturday for working with R&B singer R.Kelly, and for "taking this long" to speak out" against the singer. Kelly has been the subject of "Surviving R. Kelly," a six part documentary series on Lifetime that details the numerous allegations against Kelly for preying on and abusing underage girls. A previously unleashed interview with Chance was featured in the last two episodes of the series. In the interview, Chance told journalist Jamilah Lamieux that making a song with Kelly was "a mistake." Chance faced criticism for his 2015 collaboration with Kelly in the song "Somewhere in Paradise." He also performed with Kelly at Lollapalooza in 2014. The rapper also spoke about why he felt comfortable working with Kelly at the time, despite knowing of the allegations against him. The series only included a small snippet of his remarks. He could be heard saying "I didn't value the accusers stories because they were black women. I made a mistake." The quote faced backlash from people who accused the rapper of not valuing black women's stories. Chance shared the full interview on Twitter Saturday and called out the series for taking his quote out of context. In the full interview, the rapper speaks about the oppression black women face and remarked on the implicit biases that led him to dismiss the women who accused Kelly of sexual abuse. "We're programmed to really be hypersensitive to black male oppression. It's just prevalent in all media," he said. "But black women are, you know, exponentially a higher oppressed and violated group of people, like just in comparison to the whole world. Maybe I didn't care because I didn't value the accusers' stories, because they were black women." In his apology posted on Twitter, the rapper also said that every person who ignored the accusations against R. Kelly was doing so "at the detriment of black women and girls." "I apologize to all of his survivors for working with him and for taking this long to speak out," he said.